My “Recipes” bookmark folder overflow-eth with desserts and entrees so I’m constantly throwing out ideas to the people around me of what I should bake. I’ve recently had my sights set on almost anything with “cookie dough” in the title. So I was suggesting desserts to my boyfriend one night when I stopped and thought to ask, “Well, what would you like me to make.” He requested cheesecake. 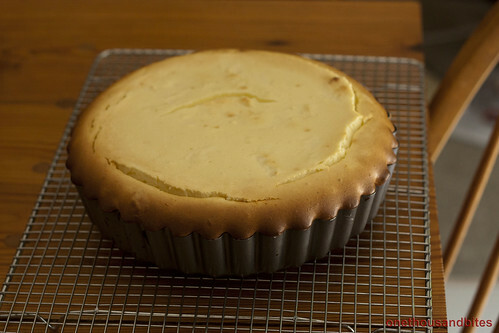 I set out to find a good, mildly basic recipe for said cheesecake. I ran into a small problem judging these recipes – I am not the greatest fan of cheesecake. I can appreciate and enjoy a well made one, but when given the choice between cheesecake and chocolate cake, I will always go chocolate. The first thing I learned about cheesecake is that it literally is just CHEESE. Five 8-ounce packets of cream cheese types of lots of cheese. But it was delicious, rich, cheesy and totally diet-undoing. It has been done. My year long ambition of making fantastic cinnamon rolls has been achieved. Finally. I shouldn’t have waited this long, but maybe it was a good thing because I got to make them with my dad who has a lot more patience and therefore used an overnight recipe. Maybe it was the slow rise in the fridge, or maybe the anticipation in the morning when I ran downstairs to enjoy this sweet breakfast. 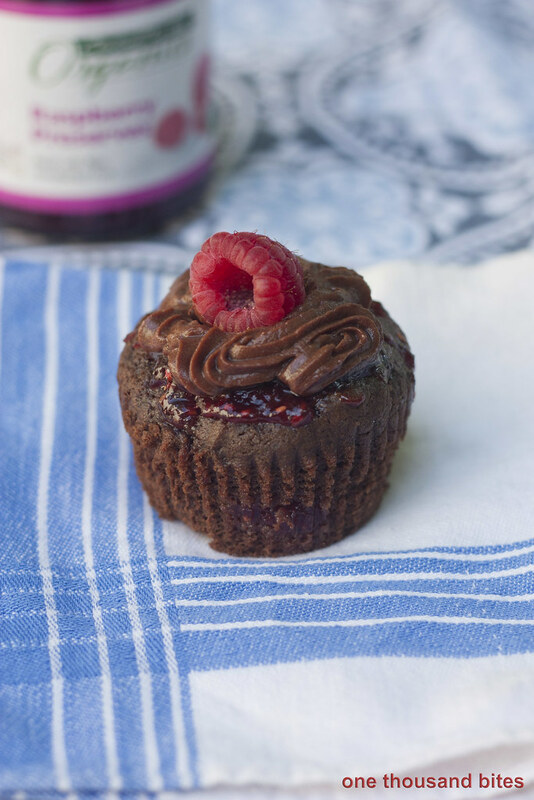 Overnight rises and resting periods on recipes seems to be the new industry secret for creating fantastic baked goods. From cookies to rolls to full on breads and pizza dough, the secret in their perfect texture is apparently the slowed rise and rest in the fridge. While making these, my dad and I ran into the classic senario of “too many cooks in the kitchen.” We would try to do the same thing at once like read the recipe off his phone screen or start combing ingredients. It was only a mild catastrophe. Our foot difference in height and the whole parent vs. child situation led to some easy decisions over who was there “first.” But we learned to share in the end. The recipe we used is from Food Network’s Alton Brown. Anyone who knows my dad would immediately see why he chose this recipe – he worships Alton Brown. I once thought I saw him downtown, texted my dad with this information and got a response of “touch him for me.” It turned out to be my old physics teacher with an uncanny resemblance, but that’s not the point. The point is, in high school, the biggest arguments of the night were over if we watched “Good Eats” or “Will & Grace.” This all being said, Mr. Brown knows his stuff. 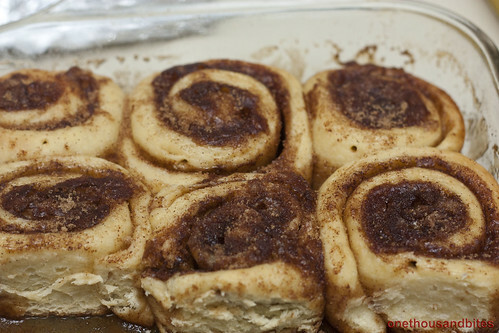 And these cinnamon buns are fantastic. I may have eaten 2 1/2 today. I am taking full advantage of raspberries being currently in season. 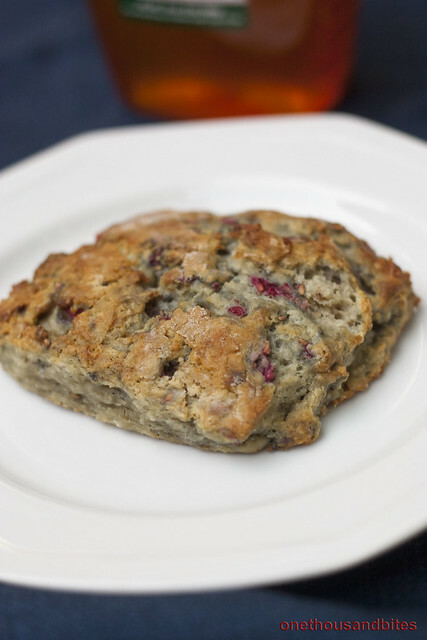 When I saw a post for my favorite breakfast baked good (scones) with my favorite berry and flavoring (raspberry) on Smitten Kitchen, I had to try it! So the verdict… these were a little too bland for my taste. I usually prefer a sweeter scone. But they are soft and delicious otherwise. So I’m going to hold off on the recipe posting until I figure out how to get these just the way I want them. They’re presently being consumed warmed with honey drizzled, so maybe something like that. In a little city called Ithaca in upstate New York, there is the most fantastic ice cream shop named “Purity.” Every time I go there, I am sure to get the ‘Chocolate Raspberry Truffle’ ice cream. It’s a creamy chocolate ice cream with a raspberry cream swirl and small dark chocolate truffles. It is phenomenal. So naturally, when I came across a cupcake by the same name, I had to try it. As I was eating my awesome lunch of toasted bread with honey and peanut butter, I was rummaging though the fridge for something more substantial (such as the crab cakes from last night). I happened upon left over apple pie. 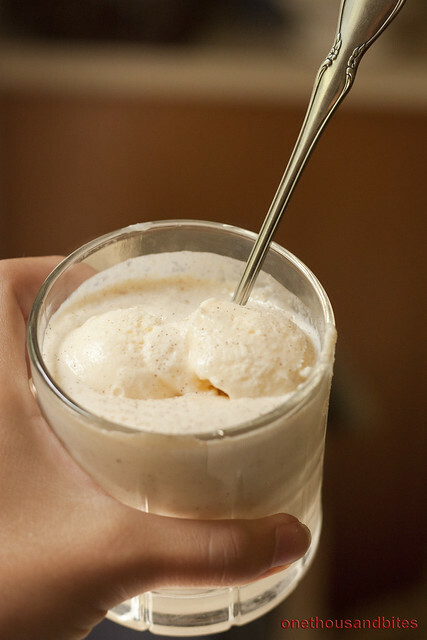 I remembered a post on How Sweet Eats of how to make an Apple Pie Smoothie so I thought it would taste good to make it from just ordinary apple pie with ice cream. Ala mode, if you will. 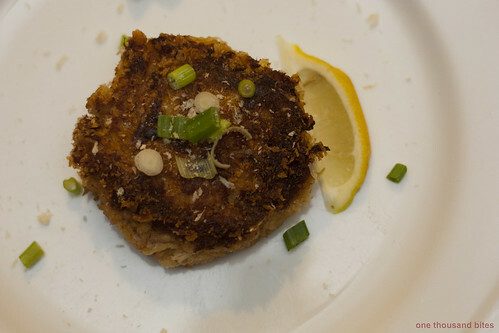 Dinner tonight: crab cakes! These were made by my wonderful chef of a Dad from Epicurious. Oh how I love anything baked in the cupcake/muffin tin. It is honestly almost a past-time of mine (a recent one, but eating muffins and cupcakes will always be on the favorite activities list).